Since fans have caught a peek into the mystifying world of Ninjawerks Vol. 1 with a handful of released tracks, it’s been the nonstop talking point as we eagerly await for the full album to drop this Friday, December 14th. 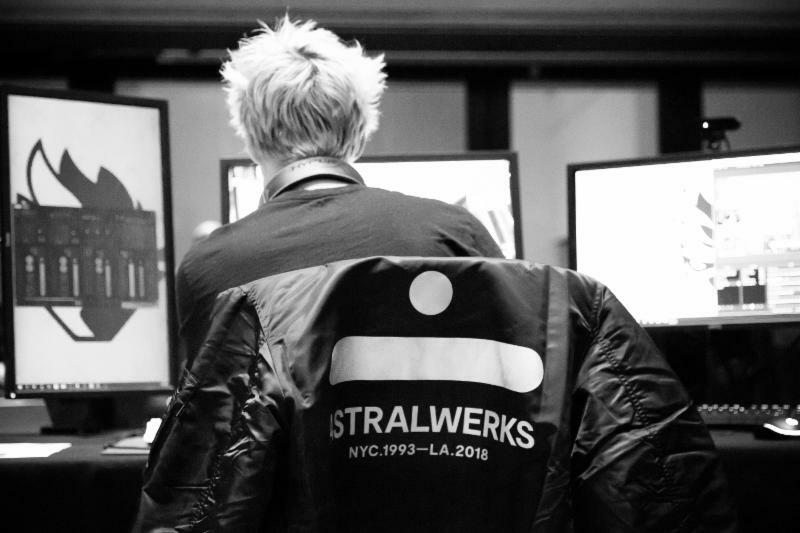 Astralwerks and the world’s biggest gamer, Tyler, “Ninja” Blevins have developed their latest groundbreaking project, Ninjawerks, which has now revealed its entire track listing. Lined up with 13 power hungry songs that beautifully combine both music and gaming spheres, the original soundtrack was celebrated with an official Ninjawerks launch party earlier this month at the renowned Capitol Records Studio in Hollywood, CA. Ninja streamed Fortnite on his Twitch Channel alongside Justin Caruso, Lil Yachty, and Lost Kings. The streaming event was followed by an after party featuring DJ sets from ZAXX, CRAY, Justin Caruso, GTA, Tycho and 3LAU, all topping off the night with an extra special kick (album launch party recap video below). So far, leading artists including Kaskade, 3LAU, Alesso, NERO, Dillon Francis, and Tycho have dished out their twists for the compilation and have built up the overall vibe as one of the most intense sonic playlists imaginable. It’s safe to say Ninjawerks stretches far beyond an ideal soundtrack for video games…for the rest of us rave heads it’s literally an irresistible set of bangin’ party tracks. Six records of pure volume and adrenaline, Ninjawerks gets beyond deep in bass. Crafted with dark tones and pounding beats, Kaskade’s “On Your Mind” is absolutely mindblowing, while Alesso’s “Tilted Towers” is burning with momentum of rhythm and bass, and 3LAU’s “Game Time” projects relentless energy with a feature by Ninja himself. This Friday, Ninjawerks Vol. 1 is slated for completion, unleashing more heavy-hitting euphonic sensations from Tiësto, ARTY, CRAY, Ducky, and more. Tyler Blevins, aka “Ninja” continues to wow the world with 20 million YouTube subscribers, the most followed channel on Twitch, and his daily entertainment to infinite internet viewers through the mix of his informative and humorous Fortnite streams. The 27-year-old Chicago area resident has also raised millions for charity, so needless to say, Ninjawerks Vol. 1 is another impressive mark to add to his ever growing repertoire.